I completed a test video, and set up some intro and closing graphics for my 100 Days of Origami folding project (#The100DayProject + #Lundies100DaysOfOrigami2019). I test published it on Instagram on my private IG account and it worked ok. Tomorrow will be the real thing, so I’m going to need to streamline the process a bit. I also need to get my schedule set up for the 100 pieces. Also, I think I’ll create a process so I can work more on how to streamline the video creation and posting process. 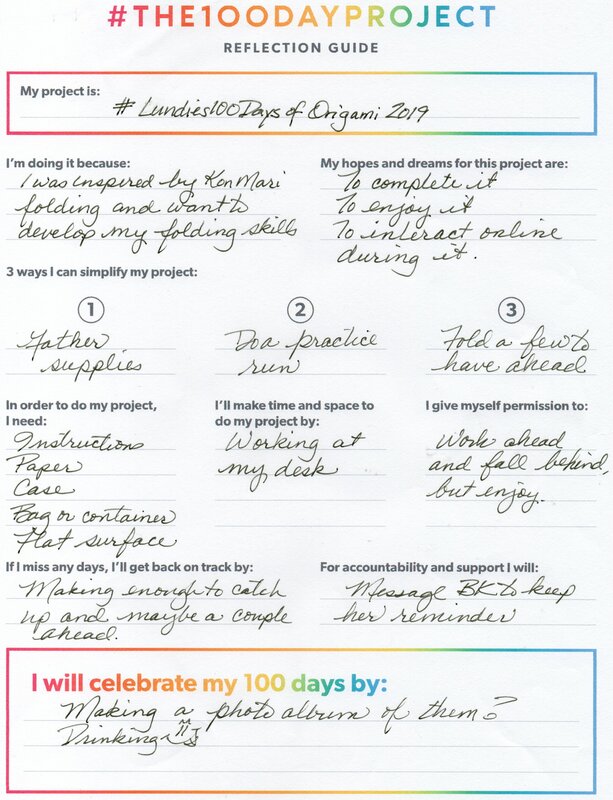 I’m still thinking through the options, but I will be starting (and I sincerely hope, completing) #The100DayProject. It starts April 2, 2019.